iLLPHONiCS is comprised of Larry Morris, Keith Moore, Kevin Koehler, Simon Chervitz, and Chaz Brew, who combine their specialized talents to create a soulful concoction of different styles; hip-hop music for the next generation. All five individuals in the band are founding members, and since the band’s formation, they've consistently made some of the most groundbreaking music that has come out of the Midwest, if not nationwide. Characterized by masterful lyricism wrapped in a symphony of jazzy bass lines, sharp drums, crisp guitars, and ever‐evolving keys, each iLLPHONiCS performance screams a good time, captivating audiences from Los Angeles to New York City. iLLPHONiCS have had their music videos in rotation on BET, IndiMusic TV, and even in Foot Locker outlets. They're music video for "96to99" has received over 38,000 views on social media. The iLLPHONiCS have played 300+ shows, opened for numerous touring artists including Lupe Fiasco, The Roots, Blueprint, The Cool Kids and Wiz Khalifa. They've played festivals such as PlaySTL Music Festival, Wakarusa, Ink's Middle of the Map Fest, Loufest and various showcases at multiple SXSW appearances. Click here to view their up and coming shows. "With smart rhymes and soulful production, you can't help but move and groove to the collective's sound." "With a fresh take on Hip Hop and Soul over conscious lyrics, St. Louis natives iLLPHONiCS celebrate 10 years strong with the premiere of their 5th studio album “Gone With The Trends..."
To pin one genre to iLLPHONiCS' lapel is near impossible. It's hip-hop at its core, wrapped up in jazz and soul, peppered with rock, electronic, and classical standards with a dash of pop and dance for flavor. "[iLLPHONiCS] material is always crisp and their live shows are always on point. Consistency is key." "The group blends elements of hip-hop with R&B, soul, and alternative, and have created a sonically uplifting piece of art in their new album." "iLLPHONiCS offer music that carries itself with a strut and swagger, but with the social awareness of hip-hop when it achieves its best intention. With a formidable reputation for their stage performances, and a collective energy that brings bare-knuckled, un-filtered hip-hop, iLLPHONiCS are on the brink of capitalizing on their new found national platform." 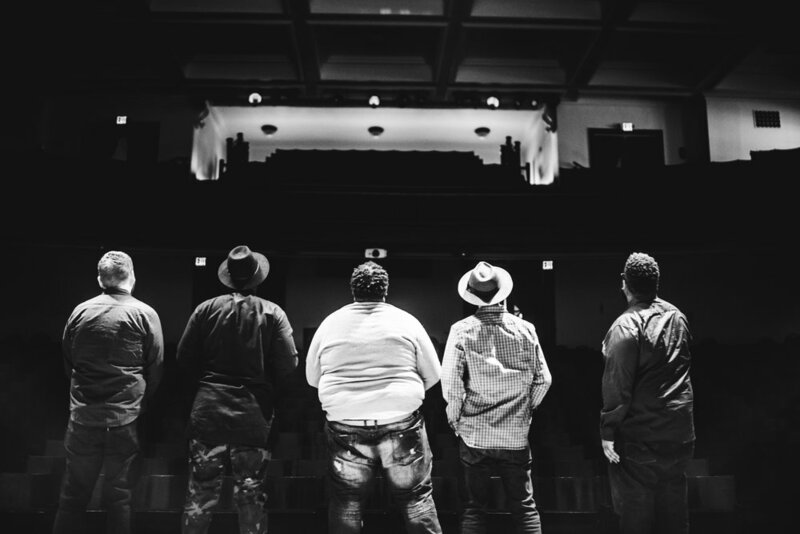 For iLLPHONiCS, a self-described “hip-hop fusion” band from St. Louis, diversity and variety are qualities not only apparent in the band itself, but in the music it plays and people that listen. For iLLPHONiCS diversity and variety are at the core of everything it does, and the band’s staunch adherence to these values is what sets it apart from just about everyone else.